I'm still surprised how often I meet strangers who, after finding out that I film weddings, often lean in and whisper to me in some sort of pseudo-confession: "I have never watched my wedding video in the past 30 years." In contrast, our own clients have been known to watch their wedding films on repeat until they are basically suffering from sleep deprivation--all in the first day of receiving their film! 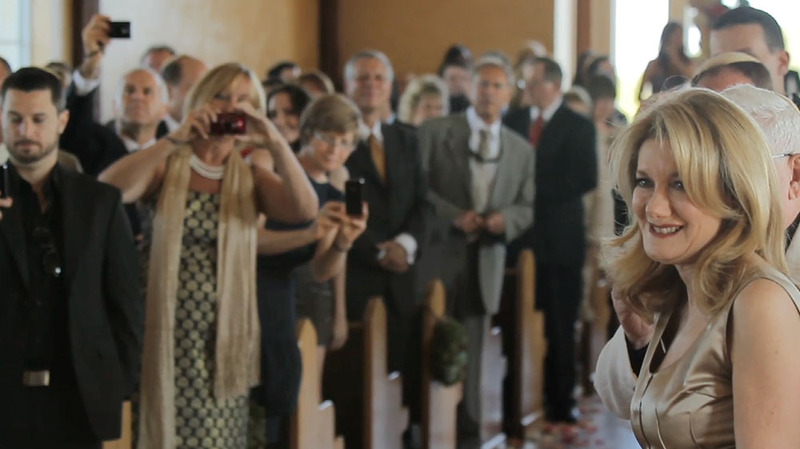 Now, I know what you're thinking when you hear the word "wedding video" too--but these aren't your Aunt Pam's wedding videos--with those heart-shaped frames around the edges & star wipes between each shot, so bad that they are never watched---our films of weddings are time capsules of some of the greatest moments in a person's life. The stories in our films will make your heart skip a beat, and they will make your face hurt from laughing so much. 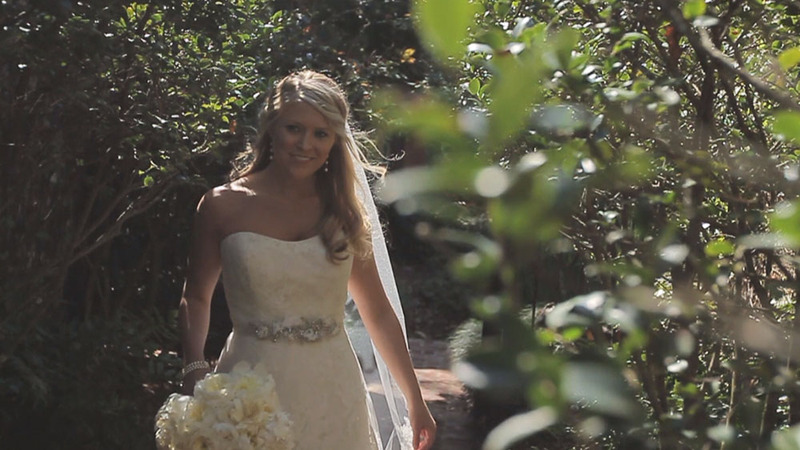 Like when a wasp got caught in this bride's dress during the ceremony. Or, when she cried sweet, happy tears as she spoke her vows. We know that love is made up of both big moments and small moments. We know that a wedding day isn't just about the DIY accents--it's also about a community of people getting to celebrate together---a community that has supported the couple as individuals over the course of their entire lives, and they're all coming into the same town and the same room for a week, or a weekend, or a few hours-- and they're cheering as they get to witness the start of a new chapter for this couple. We also know that a wedding is not a finish line--it's a party celebrating the beginning of the biggest adventure and the bravest self-sacrifice two people could ever make. Love is a continuing story, passed down generation to generation. 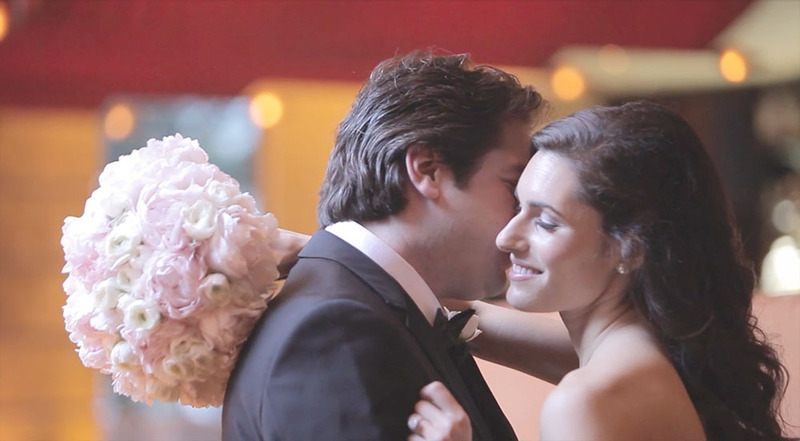 Over the course of each year, we get to witness special moments as we make wedding videos for our clients, and it might sound crazy, but we walk around our office quoting wedding films more than we quote hollywood movies. In fact, as much as I love romantic movies like Thoroughly Modern Millie, The New World, and Ever After, I'm going to be so bold as to say that not only are our wedding films better than 80s wedding videos--but I like them better than hollywood films because, seriously, y'all. These love-birds are REAL. These people are really, really real. And knowing that these stories are true as day is extremely encouraging and refreshing--sure to soften the heart of even the most hardened cynic. When this groom is amazed at his bride's jaw-dropping beauty. When a groom exclaims, "I'm the luckiest man alive!" When the best man explains why he chose the groom as a godfather for his own children. ...because he knew that in the event that Scott would need to raise his daughter, she would grow up seeing a great example of what it's like for a woman to truly be loved by a man. Oh, man, you better grab your tissues before you watch the full story here. When this father surprises his daughter with fireworks at the wedding reception. When this groom jokes about improvising more and more wedding vows. The custom wedding vows this couple shared are better than any hollywood script: "Every day spent together with you is the best day of my life," wrote the bride as she prepared for the ceremony. On the way to the ceremony site, the groom teased "If your vows are better than mine, I'm going to improvise more vows!" This bride and groom were both collegiate-level athletes, and their competitive spirit was super cute--but we have to admit that both of their vows still bring us to tears. Chris & Caroline decided to elope---but they still took along some family and friends--watch the film here or read more about it on style me pretty. When these childhood sweethearts prove that young Love CAN be a Forever Love. When this bride opened a gift from her husband on her wedding day, she found a bracelet with a Hot Air Balloon Charm to remind her of the moment he proposed in a hot air balloon. 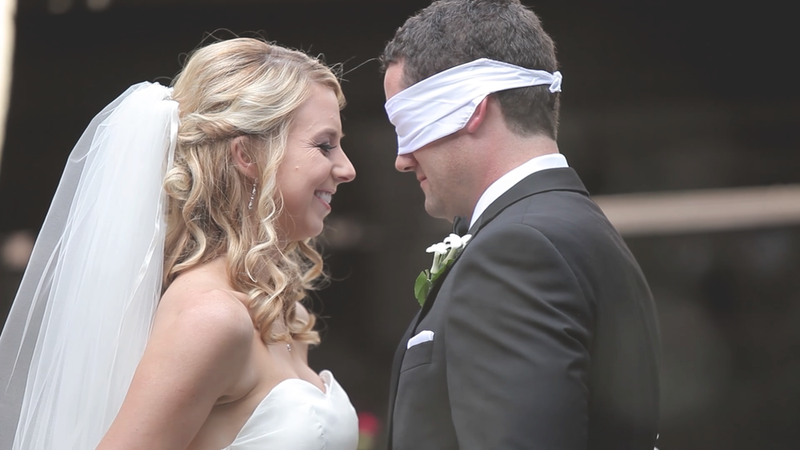 ...watch here Kacy & Jason's story is a reminder to put things around us that remind us of important moments. I'm telling you, there wasn't a dry eye in the house when Mark stood up at the rehearsal dinner to promise his father-in-law that he would take care of Liz for the rest of her life. We've filmed both Liz' wedding and her sister Sarah's wedding, and this family has truly shown us that love is filled with both a deep sense of honor and a generous sense of humor. ...watch this film. When this couple is told they are a sign of hope. It's a beautiful thing when two people promise to care for one another unconditionally. Love has the power to shine a light into the world, to encourage and surprise us, to carry us through difficult circumstances, and to teach us to cherish the big and the small moments. The love that we witness at these weddings is a strong reminder of what is good in life, and we hope that as you have read these stories, you've been reminded of good things in your own life.